Osteoarthritis, also called degenerative (wear and tear) joint disease is the most common form of arthritis. It occurs most often in older people. This disease effects the tissue covering the ends of bones in a joint (articular cartilage). In a person with osteoarthritis, the cartilage becomes damaged and worn out causing pain, swelling, stiffness and restricted movement in the affected joint. Osteoarthritis may affect various joints including hips, knees, hands, and spine. Less commonly, the disease may affect the shoulders, wrists and feet. 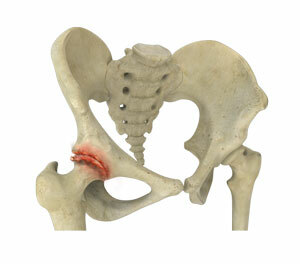 Advanced age is one of the most common reasons for osteoarthritis of hip. You may also develop osteoarthritis if you had an injury to your hip or fracture in the past. It is slightly more common if you have family history of osteoarthritis. Other risk factors include such conditions as avascular necrosis and other congenital or developmental hip conditions. How do you know that you have osteoarthritis of hip? The characteristic symptoms and diagnostic tests helps in diagnosing the condition. You will experience pain about your hip and thighs especially with activities, morning stiffness and limited range of motion. As the arthritis progresses night pain becomes a significant issue. X-rays and other scans, and also some blood tests may be needed to rule out the other conditions that cause similar symptoms. Medications: Pain-relieving medications such as anti-inflammatories and simple analgesics may be prescribed. Topical medications such as ointments can be applied to the painful joints. If the pain is very severe, a corticosteroid injection can be given directly into the joint to help ease the pain. Other Treatments: Your physiotherapist will teach you exercises to keep your joints flexible and improve your muscle strength. Applying hot or cold packs to the joints provides temporary pain relief. Lifestyle modifications can help. Measures such as losing weight and avoiding extra stress on the weight-bearing joints will often afford temporary relief. 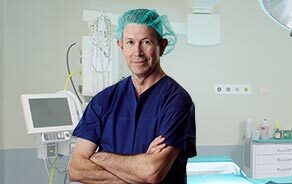 Surgery: Hip joint replacement surgery is considered as an option when the pain is so severe (especially night pain) that it affects your ability to carry out normal activities.